This story is written by my friend Liam. Like me, Liam is an aspiring car designer, and a talented one at that. 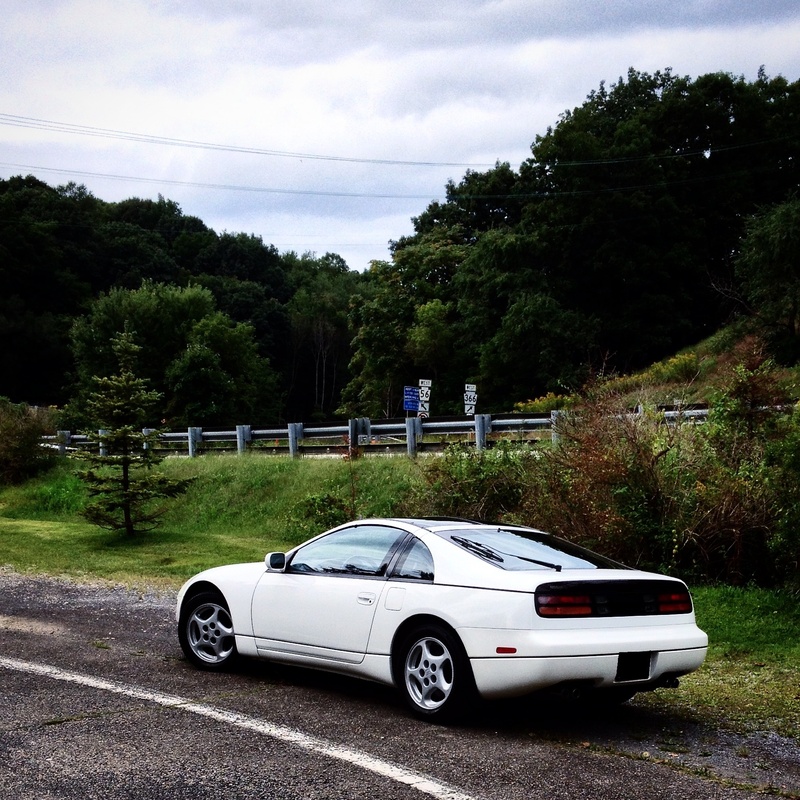 I met him through car design camp in Michigan two summers ago, and Liam has graciously volunteered to write about his Nissan. I hope you guys enjoy it! Pretty much any logical person would not buy my car for a young driver. For a first car it was probably too expensive and much too old. It gets terrible gas mileage. It smells like fuel if it isn’t consistently run. It probably is too quick, lively, and unsafe for a teen driver. And finally, it is a rear wheel drive car in a city with some of the worst weather in the country. 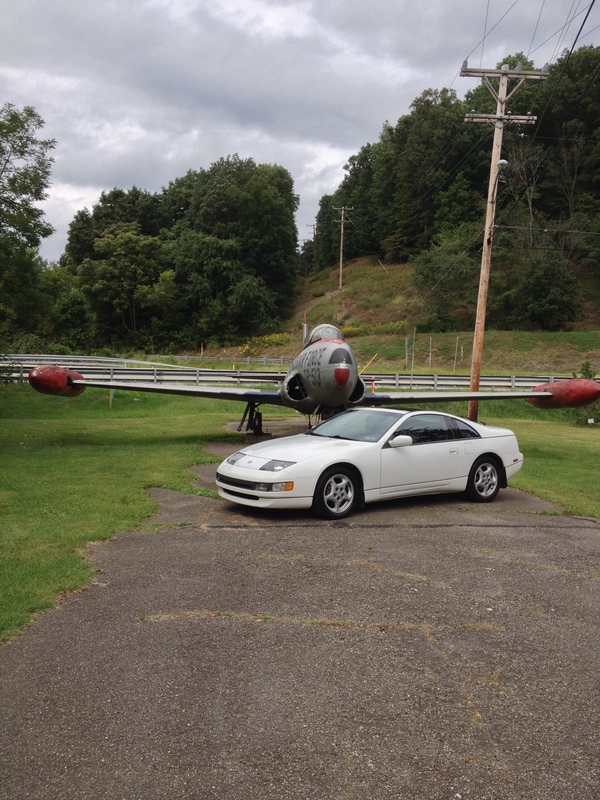 Yet, I own this car, and am a fairly logical person. How did this happen? When I first went car shopping, I thought I knew what I wanted. At the very least, a Honda Accord with low mileage would have been nice. A BMW 325xi would have been ideal. 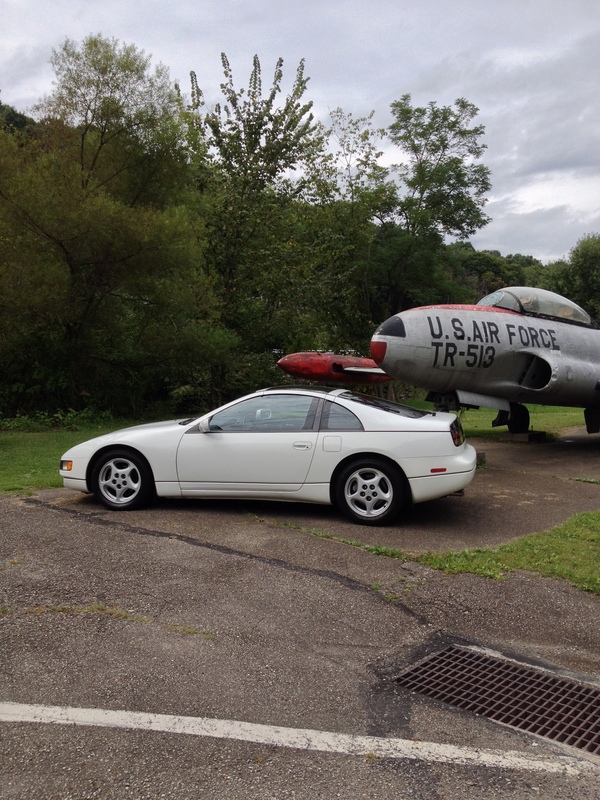 Both could have been sourced cheaply and in good condition, and are practical, safe cars. I set out with these two cars specifically in mind, with a few others peppered in here and there; SAABSs, Volvos, Acuras, the like. My grandfather was kind enough to take me to any dealership within a reasonable distance, and I saw plenty of these types of cars I could have bought. While some were downright terrible, others just lacked that special something. The terrible cars are more fun to talk about, though, so let’s start with those. The first BMW I saw was promising. It was a 330xi with a few minor modifications, like having M3 wheels fitted, but was generally in good condition. However, pictures can be deceiving, and the supposedly “rust free” car had rust eating the inside of the fenders and door jambs. Worse yet, this car had a manual transmission without a functioning handbrake. The next terrible car I drove was a SAAB 9-3 Convertible. It was in nice shape, except for the fact it felt devoid of any structural rigidity. On to the next car, then. After the SAAB, I test drove an S60 from the same lot. How could it drive even more like Jell-O than the convertible? Another no. The last truly terrible car someone tried to sell me was a Volkswagen Passat Wagon. It was a fantastic car until I walked around to the passenger’s side and saw a two foot long dent in the car. The entire shopping process took about five days comprised of about eight hours each, so plenty of cars were perfectly acceptable. Here’s the short list. 2003 BMW 325xi – I came so close to buying this car at an awesome price. It had two tiny rust spots that even I could have fixed. It drove as if it were brand new. Those rust spots had me wondering, though, what lied below the sheetmetal? 2003 Volkswagen Passat Sedan – I said I would buy this car and they sold it to someone else for a few extra dollars. This was a shame, because it was in mint condition, had a peppy engine, was safe, and had aged quite well. At least three early 2000’s Volkswagen Jettas – These were essentially the German version of the civic, only slightly more boring. The diesel version was interesting, but 250,000, not totally unreasonable for the solid engine, scared me off. It dawned on me that the cars I liked were sold quickly and the cars I passed on weren’t quite “me.” I had to be more decisive and approached the last day ready to make a quick decision. I ended up at a Nissan dealership about forty-five minutes from my house to see an Acura the lot had. 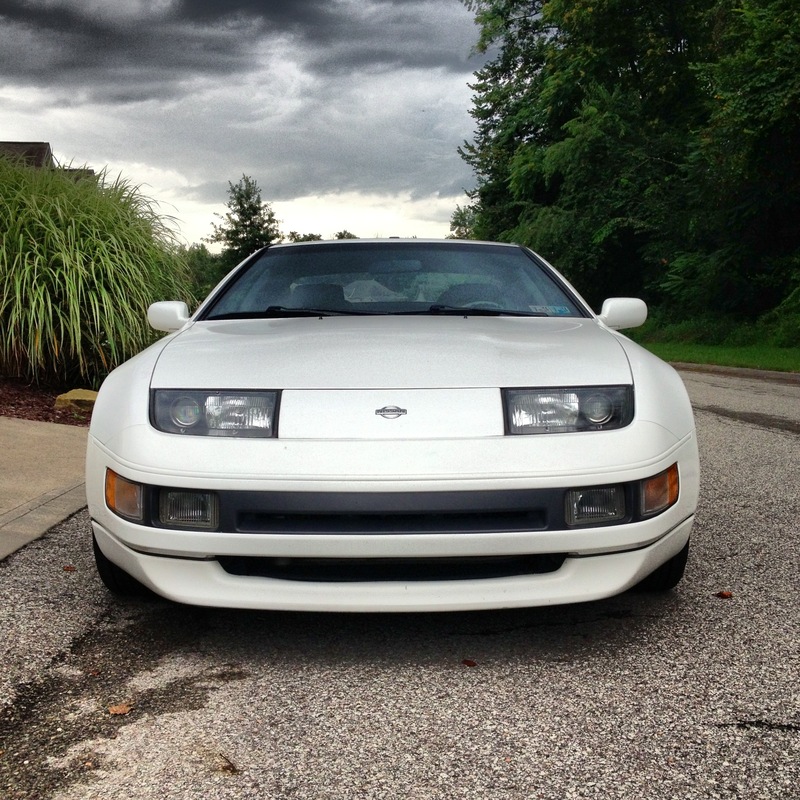 When pulling in, both my grandfather and I remarked at what a cool car the Nissan 300ZX was out front. I let it go and tried to ignore the car. Soon after that, I was told the Acura sold just before I had arrived. Frustrated, I asked if there were any other cars in my price range that fit my needs. There was an Accord and a MINI Cooper. Both were not in good enough condition for me to feel comfortable making a purchase. 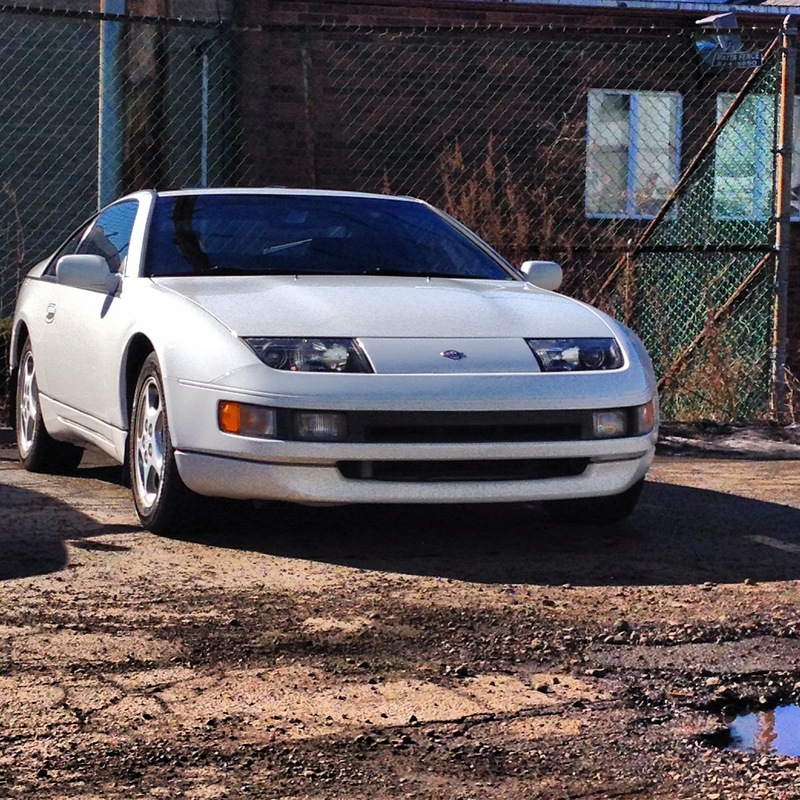 I was just about to leave when a customer returned from the test drive in the 300ZX. Why did I hate seeing someone else drive the car so much? It wasn’t even my car! I didn’t know how to drive a stick and it was the exact opposite of what I wanted; old, unsafe, tiny (I’m at least six-foot-one) , impractical, rear wheel drive, manual, poor gas mileage, 74,000 on the odometer, and too expensive to say the least. But, oh was it beautiful. So naturally, I threw my better judgment aside and asked to be taken on a test drive. As soon as I entered the car, I knew I was in something special. Suede, soft leather, and thick carpet greeted me as I entered the space-age (for 1994, at least) style cockpit. My salesperson made a quick lap of some back roads in the Nissan and that was all I needed to fall in love with it. I made a deposit to hold the car and I talked with my grandfather over lunch. I also did some obsessive-compulsive research on my phone. He was just as excited as I was, and soon enough we called my mother and grandmother to see the car as well. More importantly, they brought my money. Both my mom and grandma were apprehensive of me driving something so sporty. I’m genuinely surprised I was allowed to buy the car, but I think my family loved it just as much as I did. With my mom’s and grandfather’s seal of approval, I made the biggest purchase of my life thus far. 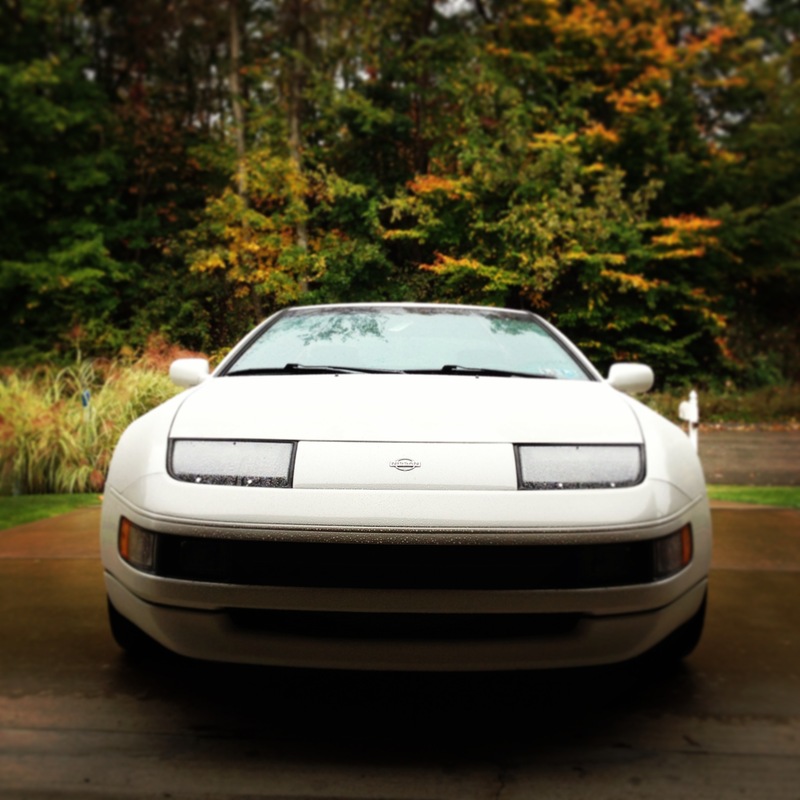 I’m pretty sure the very first day I had the car; I stared at it for half an hour straight. Then, I realized I should probably learn how to drive a manual car. The day after, my mom took me out and I learned with the t-tops off. What a car to learn to drive manual in! The clutch is ultra precise, the gear box razor sharp, and the brakes and engine are silky smooth and powerful. Right around 2,800 rpm, the car gains a whole new attitude, the muted engine noise becomes a menacing snarl, and acceleration becomes more rapid all the way until 7,000 rpm. Have you ever been in an airplane during takeoff? That pretty much sums it up. 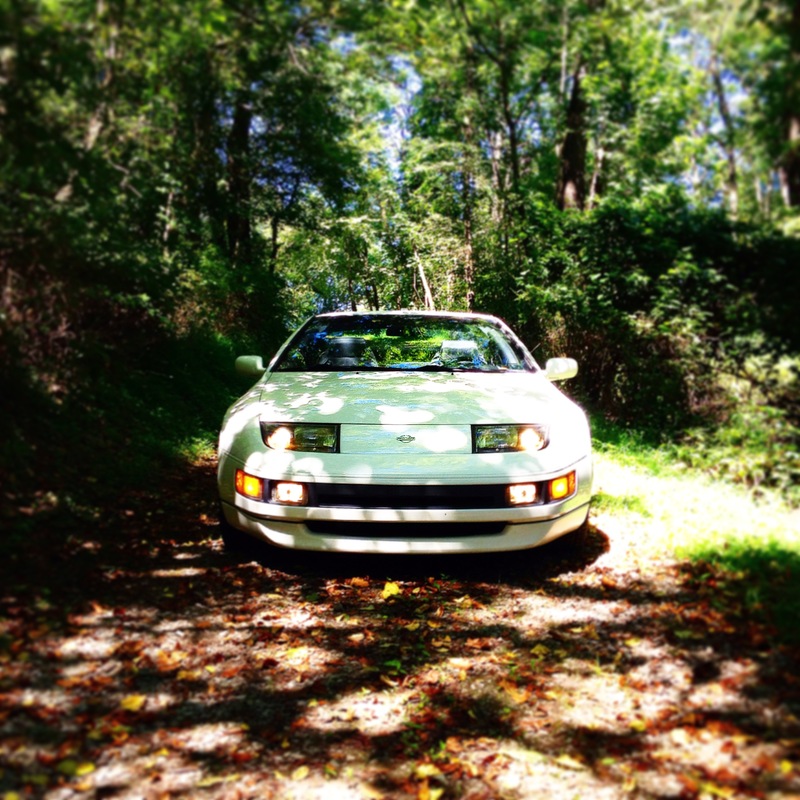 To this day, I am amazed at how versatile my 300ZX is in different driving conditions. Even in the snow, it manages with a good set of winter tires. I always know, though, that with a stomp on the accelerator that the tail will wag all day long. Inside and out, quality is nothing less than exceptional. I have seen German luxury cars with more problems than my car. On the inside, the seats show very little wear and have excellent quality leather. The suede on the center console and door panels is luxurious and appears to be near-mint. Every panel fits precisely and gaps are minimal. Plus, dual drive control layout is just plain awesome. The thick, plush carpeting feels rich, and the seats hold you in place without fail. On the outside, there is almost no rust, to the tune of one small spot on the inside of the passenger door. Not even the t-tops leak. The car has held up remarkably well, and each panel is in near mint condition, except for the chin spoiler. The previous owner evidently made a hash of parking. Sure, there are a few worn items, but these are easily replaced and non-essential. 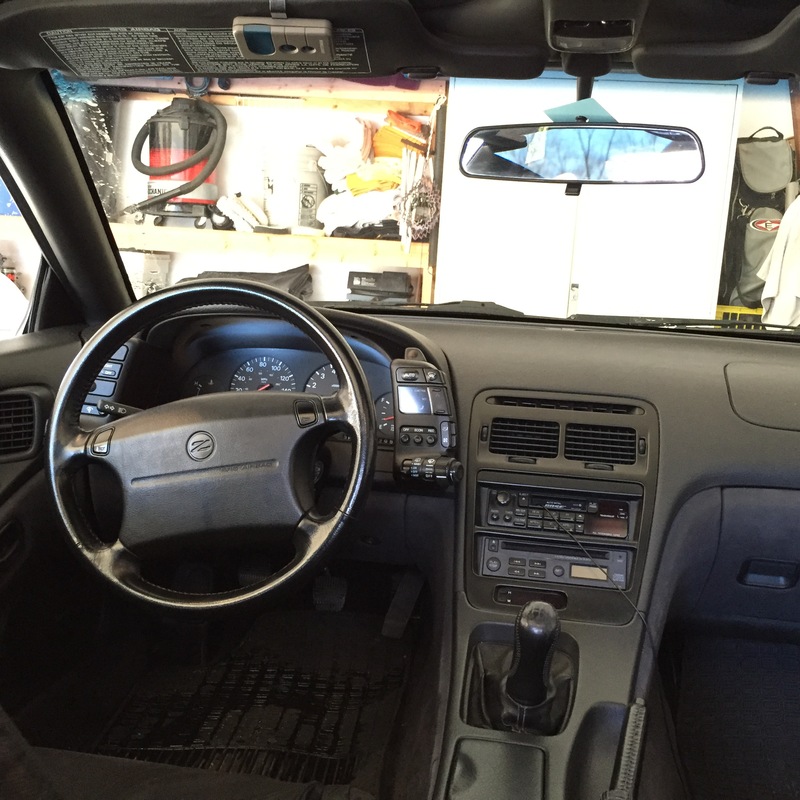 For a car over twenty years old, my Nissan defies expectations. For 1994, the technology in my car is pretty incredible, too. 222 horsepower from three liters is nothing to laugh at, and the torque is more than adequate. Keep in mind this is a light, aerodynamic car. Some modern engines feel weak and coarse in comparison to this one. Another notable feature is the four wheel steering system. Obviously, the front two wheels turn, but the back two also help to change direction. Both back wheels can shift in angle by a few degrees to aid maneuverability or stability in a straight line. Other features include an excellent air conditioning and heating system with a plethora of settings, a CD player, and anti-lock brakes, just to name a few. I love this car for these reasons, but there is so much more to it. 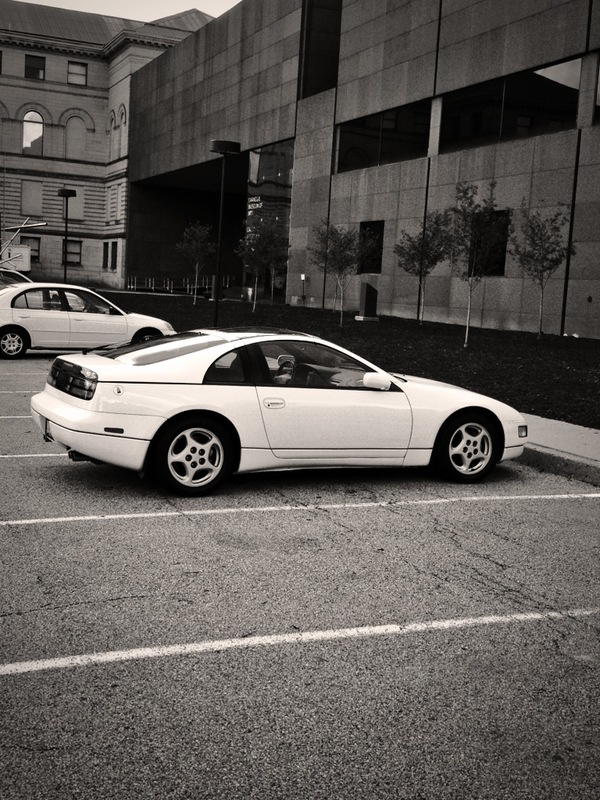 I knew I had to buy this car because it resonated with me, it made me feel something. For once, I went with my heart and was rewarded greatly by this awesome piece of machinery. 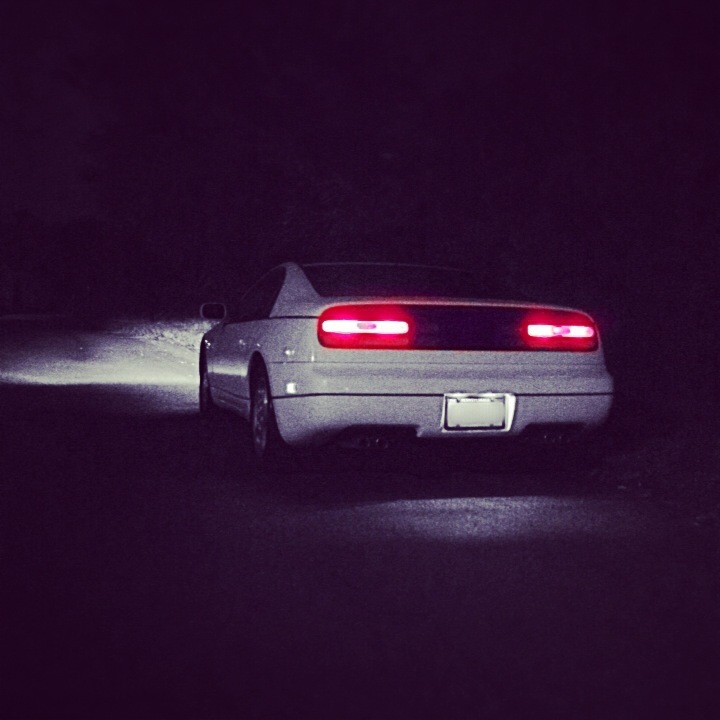 Veronica, as I call her, has had a few small issues, but none of that matters because I know that each time I drive my car, it will be the drive of my life. Thanks Liam! 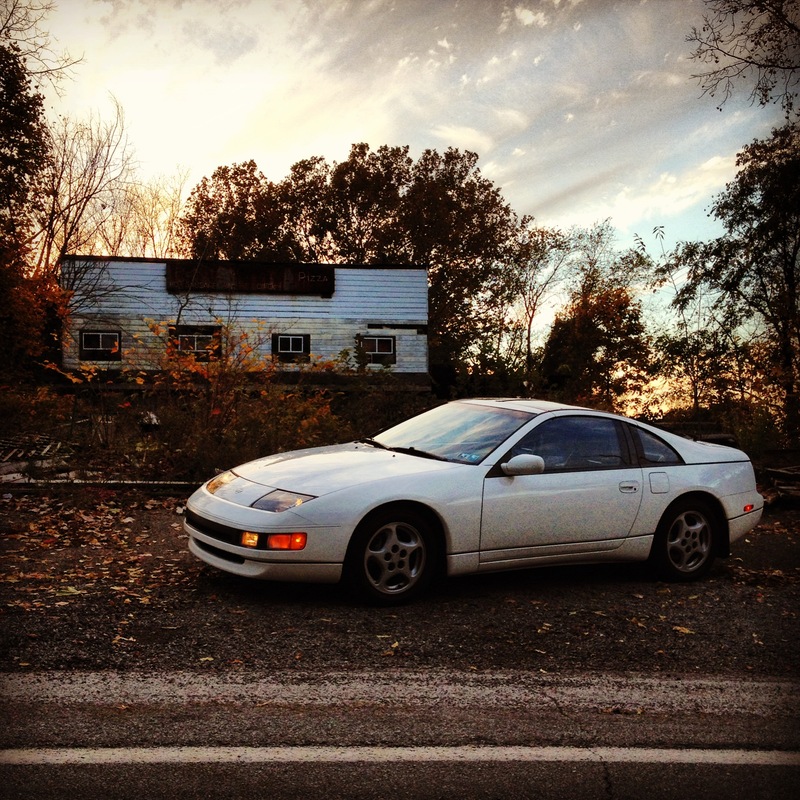 Your writeup of your car has made me want to find a car that is as special as your Nissan is to you. As for you readers, if you ever want to do a Reader’s Stories, click on this link and follow the steps!